With BMW’s Remote Valet Parking Assistant may you never have to set foot in a parking garage again: The car should find a place to park on its own. The feature can be controlled from a smartwatch and will be demonstrated at the International CES trade show in January. Cars that can park themselves once you have found a spot are becoming increasingly common, but BMW takes this to a whole new level with the Remote Valet Parking Assistant. 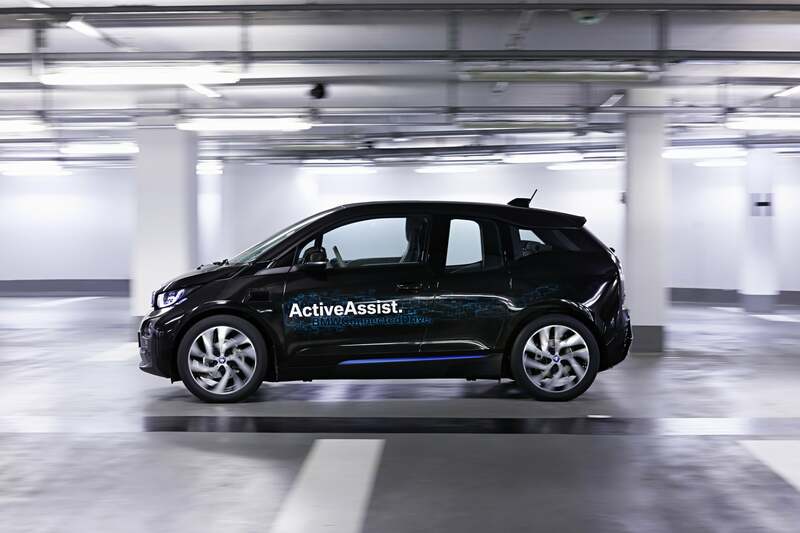 The feature has been integrated in a research version of the electric BMW i3, and combines information from laser sensors with digital plans of multi-storey car parks to navigate. The driver can just get out and activate the parking assistant on a smartwatch, for example. The sensors let the car recognize the structural features of the car park and avoid any obstacles that appear unexpectedly, such as incorrectly parked vehicles. Once the car has arrived at the parking space, it locks itself. Once called back, the car will also drive itself out of the parking garage. 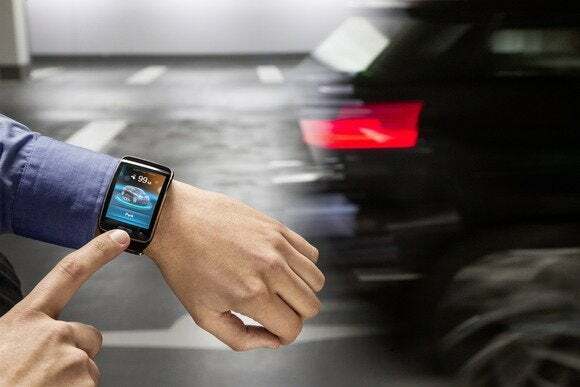 The car can take account of how long it takes to drive out so as to time its arrival for when you are ready to leave, according to BMW. At International CES, BMW will show invited journalists how Remote Valet Parking Assistant works on top of a parking garage. The goal is to show what will be possible by 2020, a BMW spokeswoman said via email. Fully automated control of a car by combining sensors and digital plans is an important advancement. This avoids dependence on GPS, which isn’t precise enough in multi-story car parks. Also, car parks don’t have to be upgraded with advanced infrastructure for the technology to work, BMW said. The sensors, which have a 360-degree view, can also be used when the driver is in the car to avoid collisions in environments with poor visibility. If the vehicle approaches a wall or a column too quickly, the system brakes automatically.